There have been 5 images uploaded to this topic. (View topic image gallery). I just got a NIB WOZ pinball machine last week and am totally new to pinball ownership. I had a few minor issues with the machine that I overacme with the help from the members over at the WOZ owners thread. I did not want to add a bunch of discussion on a single technical issue to that thread so I created a new one specific to this issue. I am having an issue where the single right castle door will not open. A ball gets stuck up behind the door and then I am unable play. I read some similar posts about this issue and thought I knew how to address it. 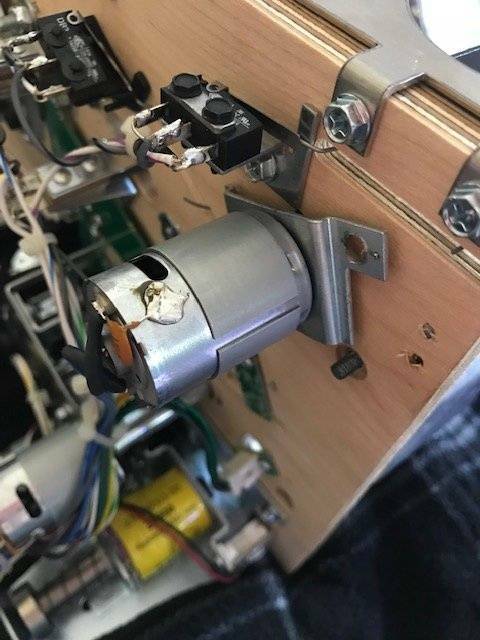 I have removed the castle playfield and confirmed that the post attached to the door is not secured to the motor which is preventing the door from opening. There are two small setscrews on the door post but they are not accessible when the door is in position and over the motor. 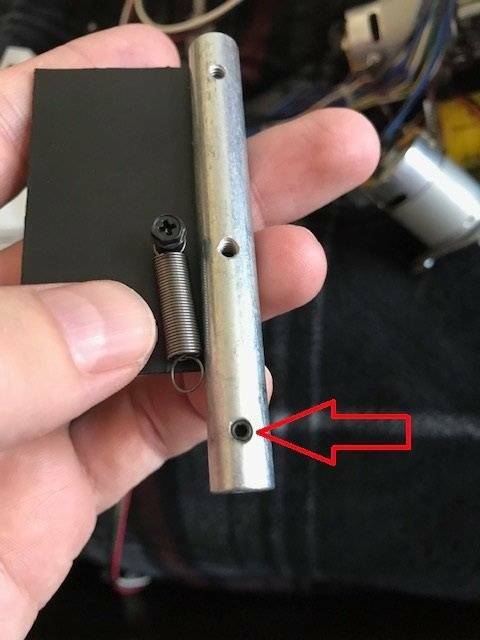 As such I am unable to tighten the setscrew onto the motor shaft. What is the fix for this issue? 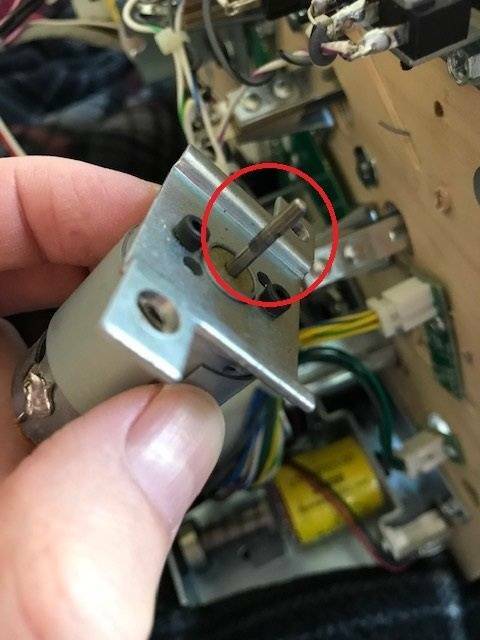 Do I just slightly tighten the setscrews with the door off the playfield and the try and slide/force the post over the motor drive shaft? Is grinding down a flat on the motor shaft a possible solution to preventing it from sliping? The replacement motors have flattened shafts. The door post screws can be tightened with the castle playfield removed, as you have done. The set screws can be tightened properly with an Allen wrench. They probably had thread locker on them and just have dirty threads. Ignore this and push onwards. Sometimes adding torque by the use of a hollow nut driver applied to the short side of the wrench or anything you can slip over it to give you more torque, will help a lot. They have to be tight with blue locctite applied to every screw on every part, doors included. Do not over tighten. The shafts are soft sleel and can strip. So, very tight but not stripped out. I am not finding this to be the case with the single door. The double doors have larger screws that are accessible but the set screws (shown in the image above with the arrow) are not accessible when the door in in places. As such I can not tighten the screws directly onto the motor drive shaft. I would like to completly remove the motor so that I can machine a flat on the drive shaft. I want to correctly fix this issue and not deal with this again any time soon. 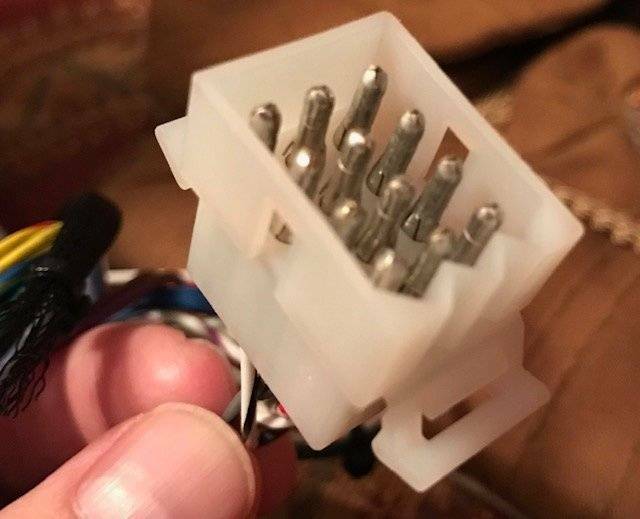 Is there a tool to safely remove the pins from these connectors? The moror shares a connector with other componsnts and can not be completly removed without removing the two pins from the connector, desoldering the wires from the motor or cutting the wires. I don't want to unsolder them as there are some other components soldered to the motor and I am not that great with a soldering iron. set screws (shown in the image above with the arrow) are not accessible when the door in in places. Tighten the post onto the motor before installing the door or remove the door part to get it out of the way so that you can set the shaft on the motor first. Then push the shaft thru the wood, then reattach the door part. Dremel off a flat area of the shaft that is near where you can see marks from the set screw. It doesn't take much, you can do it without all of the trouble of unpinning the connector. Just roughing up the area will help keep the set screw from slipping. In reality the single door doesn't get near the abuse of the double doors. It doesn't have to be as bulletproof. I have my original single door motor still in my game and have replaced 6 of the double door motors. I always solder them in. Its quick and easy. After bitching about the problem to a friend and complaining about how poor the design is, I had an idea of how to deal with the inaccessible setscrews. If I remove the door from the post, I can place the post on the motor drive shaft, tighten the set screws, and then load the post up through the bottom of the top playfield and then reattach the door to the post. Sorry, at the time I did not follow what you were saying about removing the door from the post. I get it now though. Thanks again for your help!!! I got a 1.5mm hex wrench and some red loctite and plan on finishing the repair tonight after work. DO NOT USE RED LOCTITE ! ! ! It's too permanent, screw heads pop odd, set screws strip out, impossible to remove stuff for maintenance. Any brand will do, I use permatex brand, blue for easy removal. Too late, I already put everything back together and used a few drops of red loctite in each of the two small setscrews that secure the motor drive shaft to the rod that rotates the door. I think I had this problem before taking everything apart but the flying monkey goes too far up and ends up making contact with the rod that the door is mounted to. When I open the door manually, it stays open when the monkey is up. I just looked at it briefly and I did not see any way to adjust the limit switch. Do you have any recommendations on how to eliminate this interference? Adjusts like any microswitch of that style. Hold it down closed and then bend the far end away from the hinge up just a bit while holding it closed so you don’t pull the arm off. You want the switch to close just a shade earlier in the monkey’s travel path so he stops just a bit sooner. Also you may have to loosen the philips head screws holding the monkey plastic and angle it back just a touch so that it doesn’t hit the door going by. Pinballomatic - Thanks! I bent the switch (not sure how much that helped) but also removed the monkey plastic and noticed that it did not have a full 90 degree bend in it. Like you suggested, if you loosen the two philips head screws the monkey relaxes and does not stick out as far. 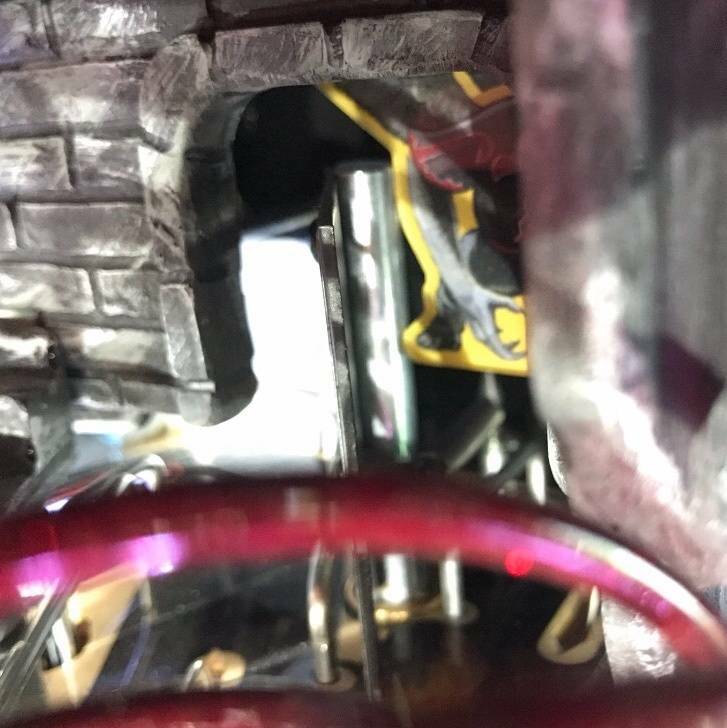 I was worried about it moving around if not tightened so stuck a small piece of black foam between the top of the monkey plastic and the mounting bracked next to the screws so when I tightened them, the monkey pivoted down so that it was close to verticle. I played a few games and every thing seems to be working well. Thanks a million! Hopefully all of these repirs hold up for a while and I don't have to remove any play fields for a few more weeks!